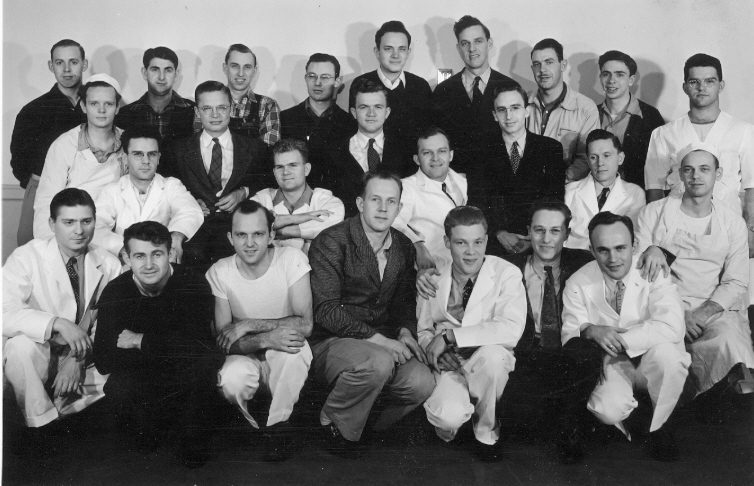 Unit group, December 21, 1943 - Left to right, Front Row:Albert Benglen, attendant; Bill Phillips, attendant; Ray Vanderburg, clinical laboratory technician; Bill Cable, truck driver; Henry Carlsen, attendant; Victor Langford, business office worker; Lloyd Hall, attendant - Second Row: Bill Henderson, attendant; Leo Baldwin, attendant; Charles Mahin, attendant; Kenneth Kimmel, attendant; Jim Winker, cook - Third Row: Windsor Utley, cook; David Salstrom, poultryman; Robert Lam, accountant; Allen Hastings, social service worker; Henry Blocher, photographer - Back Row: Loyd Schaad, groundsman; Sam Liskey, poultry man; Elmer Lewis, truck driver; Bruce Dean, truck driver; Charles Ludwig, attendant; Harold Petry, dairyman; Marion Ross, dairyman; Kenneth Kester, poultry. Front entrance to main building - Western State Hospital. Western State Hospital Administration Building, Ft. Steilacoom, Washington. 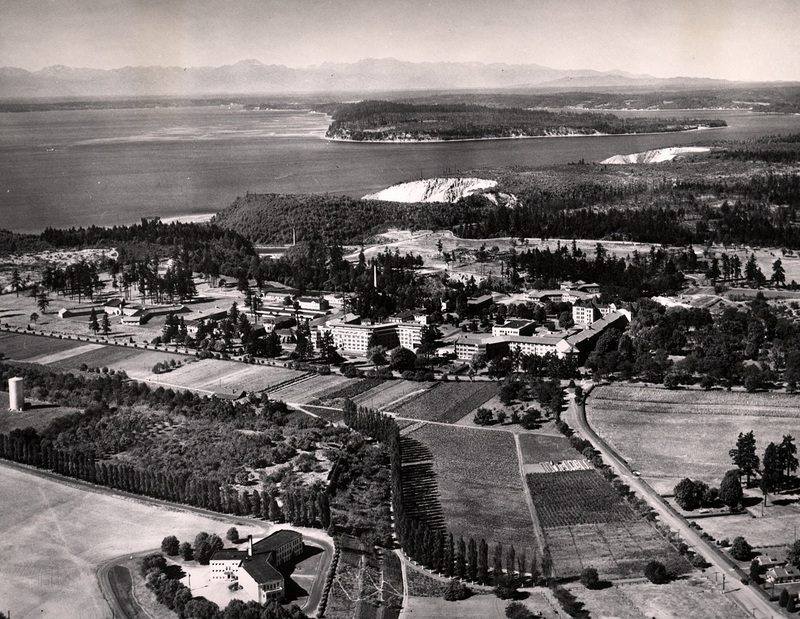 Aerial view of Western State Hospital, Ft. Steilacoom, Washington. 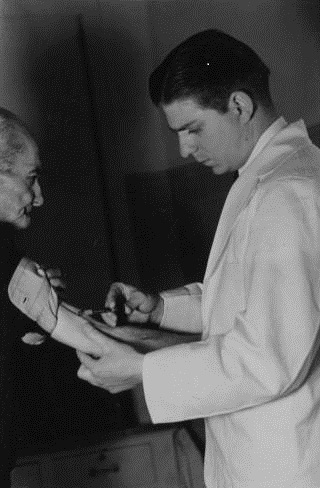 Al Benglen attending to a patient at Washington State Hospital, CPS Camp 51. 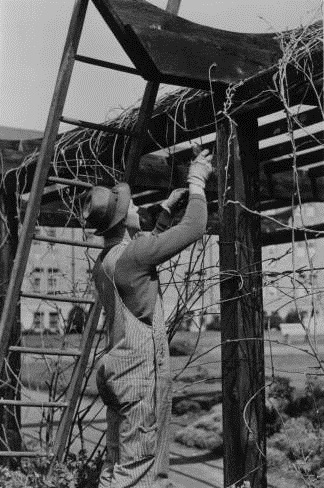 Loyd Schaad working as a groundskeeper at Washington State Hospital, Camp 51. 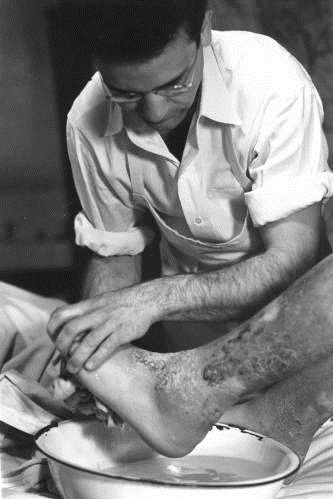 Bill Henderson working as an attendant in the senile ward at Washington State Hospital. 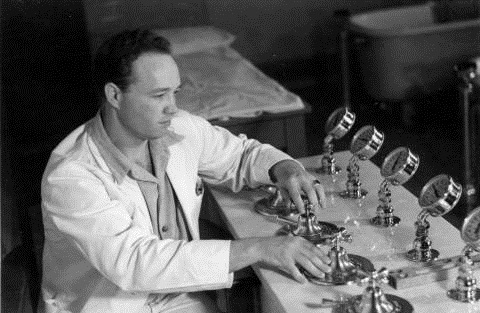 Al Hastings working as a social worker at Washington State Hospital, Camp 51. 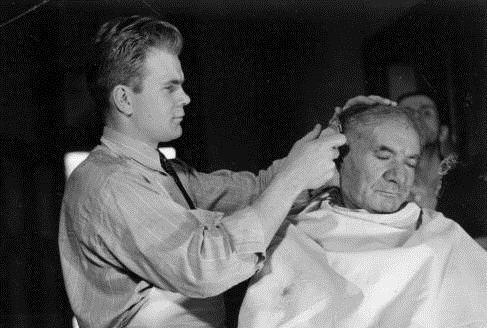 Leo Baldwin cutting the hair of a hospital patient at Camp 51. 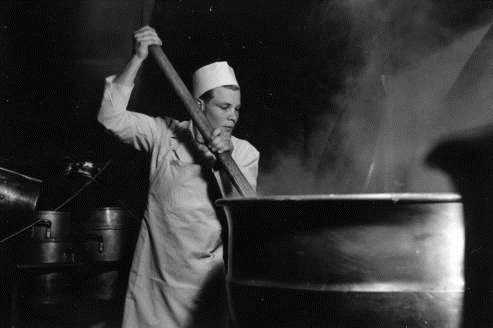 Henry Carlsen working in the kitchen at Washington State Hospital, Camp 51. Walter Baumann conducting hydrotherapy on hospital patients at Camp 51. Marion Ross working at Camp 51. CPS Unit No. 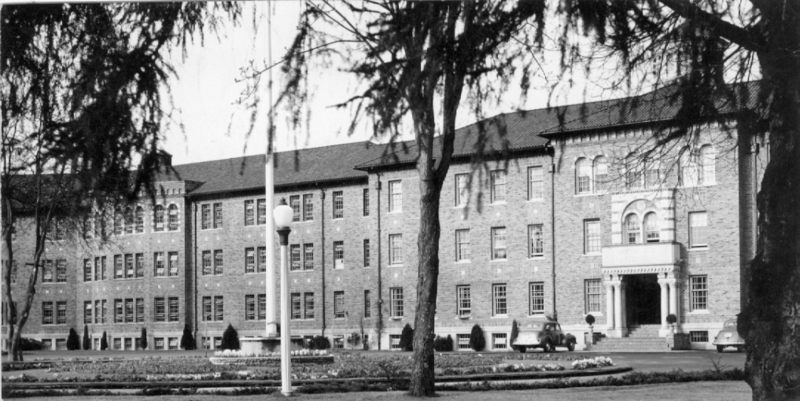 51, a Mental Hospital unit located at Western State Hospital in Fort Steilacoom, Washington and operated by the Brethren Service Committee, opened in September 1942 and closed in October 1945. The majority of the men served as ward attendants. 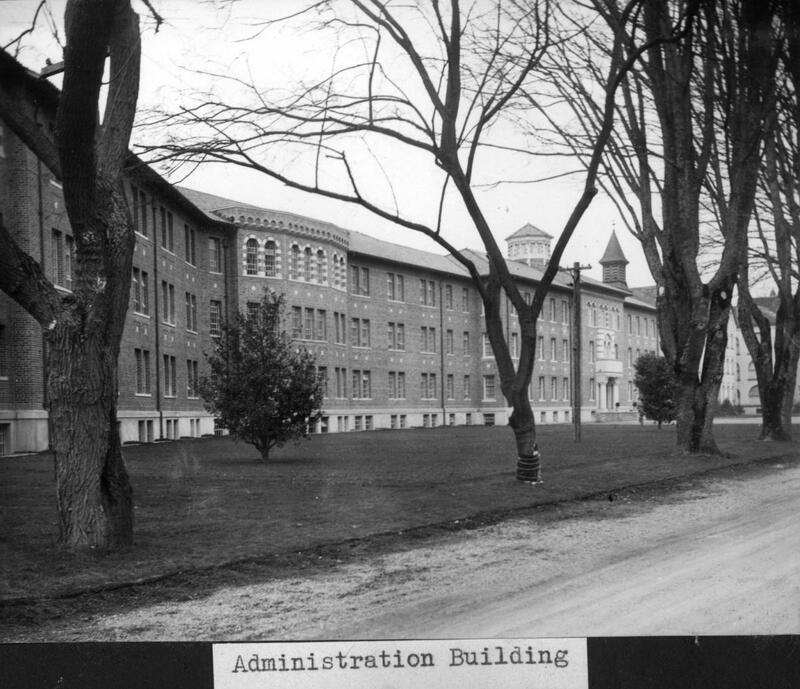 Western State Hospital was located in Fort Steilacoom, Washington. A group of men from CPS Camp No. 21 at Cascade Locks, Oregon had been reviewing several potential sites for a detached service mental health unit in Oregon and Washington sites prior to selecting Western State Hospital (see Kovac p. 58). Fifteen men from CPS Camp No. 21 at Cascade Locks, Oregon transferred to Western State Hospital to open the unit, including both Lloyd Hall and Charles Davis. Others included Bill Phillips who had served as Camp President, Al Hastings who began the camp chorus and Windsor Utley, a flautist. Four others served in capacities other than ward attendants: Bill Cable as a truck driver; Henry Carlsen as kitchen worker; Loyd Schaad with an M.S. in horticulture managed the hospital grounds; and Henry Blocher became the hospital photographer. 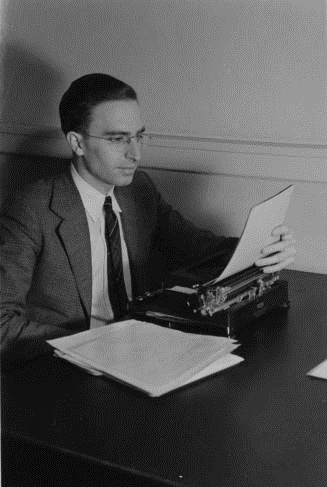 Washington Governor Arthur B. Langlie was fully supportive of using religious objectors in the state’s public agencies. The men published Washington Newsletter in December 1942. Beginning in October 1943, the first issue of Factor appeared. The name was changed to Viewpoint and the paper was published through April 1945. A group of camp men organized The Pacifist Information Center to achieve two goals—1) the development of unity so that the"full impact of the pacifist movement can be brought to bear on the public in those areas and at those times when public opinion is most receptive"; 2) "acquainting the public with pacifist principles, methods, and accomplishments by. . .effective means of information and education." 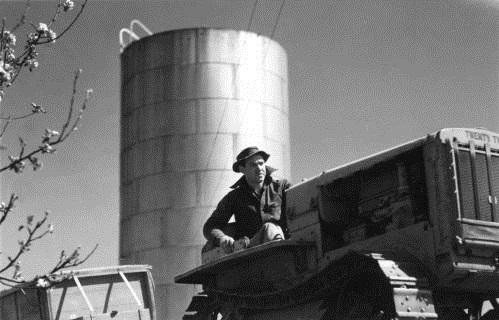 Victor Langford so described the goals in Viewpoint II:1 (April 12, 1945). (in Eisan p. 231) The organizers hoped that other pacifists beyond the unit would cooperate with and support their work. The men developed a library with an excellent research collection of pacifist books, pamphlets, periodicals. They also helped locate out of print pacifist books for prospective buyers. As a second emphasis, the unit publication Viewpoint focused on pacifist issues and was regarded as one of the best Brethren CPS publications. See also Jeffrey Kovac, Refusing War, Affirming Peace: A History of Civilian Public Service Camp No. 21 at Cascade Locks. Corvalis, OR: Oregon State University Press, 2009. For an in depth history of conscientious objection in the United States, see Mulford Q. Sibley and Philip E. Jacob, Conscription of Conscience: The American State and the Conscientious Objector, 1940-1947. Ithaca, NY: Cornell University Press, 1952, including a description of other CPS camp institutes on peace studies, pp. 191-92. 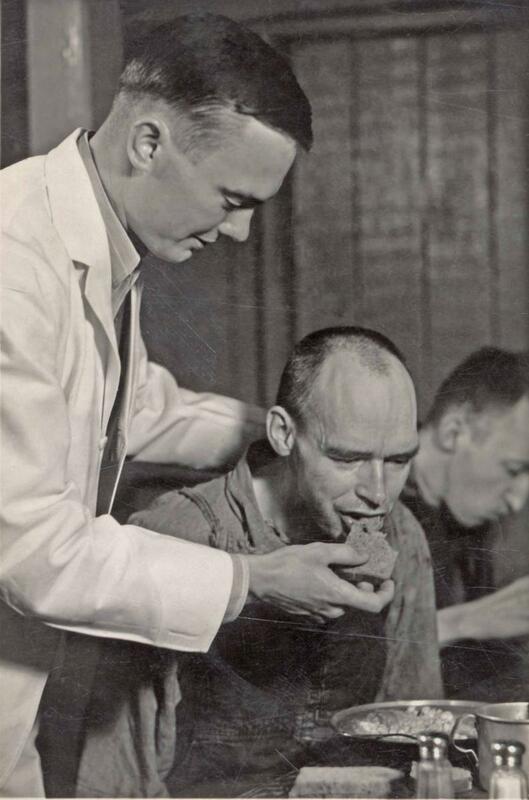 For more in depth treatment of mental hospital units, see Steven J. Taylor, Acts of Conscience: World War II, Mental Institutions, and Religious Objectors. Syracuse, NY: Syracuse University Press, 2009.